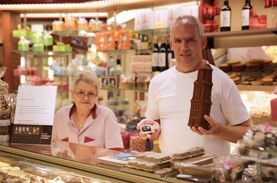 Shop in Utrecht and discover what the city has to offer. You’ll find popular department stores but also small boutiques, innovative concept stores and bustling markets. Browse the shops on the Oudegracht and in the Museum District for special second-hand and vintage treasures. Discover the latest trends in the boutiques on the Voorstraat, Schoutenstraat and Zadelstraat. Head to the Steenweg for popular chain stores. The stores in Utrecht are open seven days a week. Bad weather never needs to be a problem here: Utrecht Central Station merges seamlessly with Hoog Catharijne, the largest indoor shopping mall in the Netherlands. Plenty of reasons to go shopping in Utrecht! Small boutiques, shopping malls, specialty shops and concept stores, Utrecht has a lot to offer. From organic produce to beautiful fabrics, find out what Utrecht’s markets have to offer. 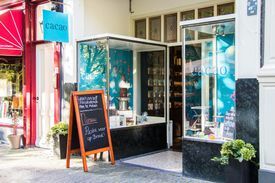 Discover this shopping route along Utrecht’s unique local shop. 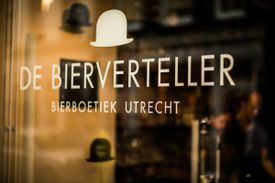 Find out more about the opening times in Utrecht. Explore Utrecht's districts and their unique shops.